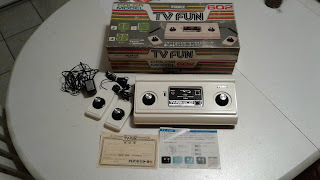 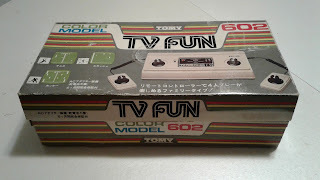 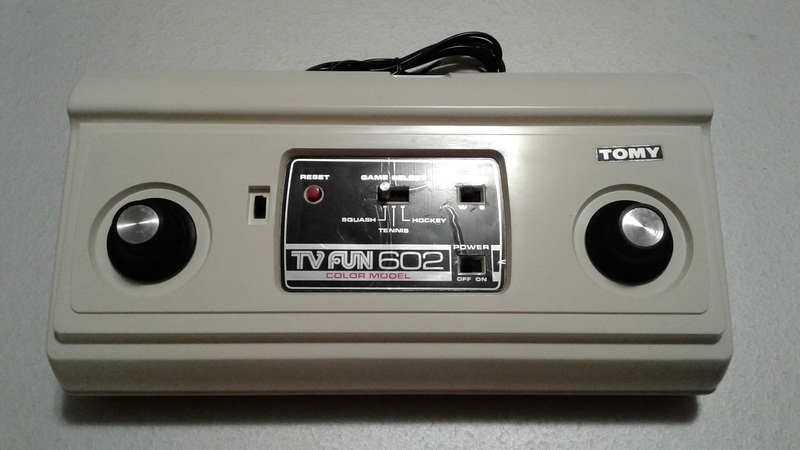 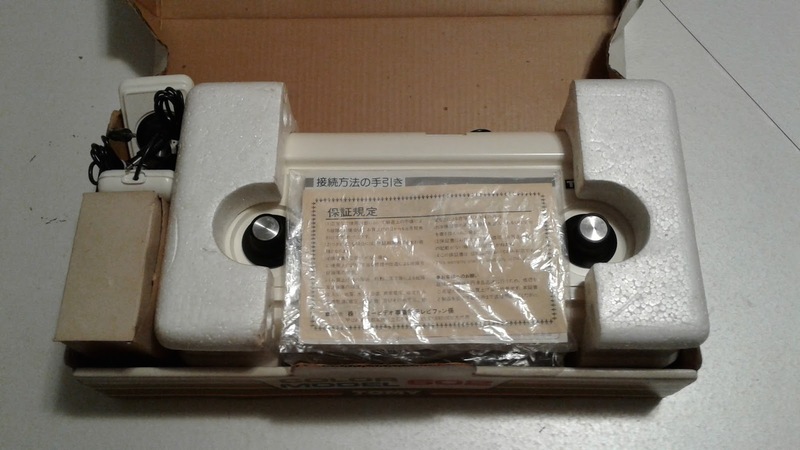 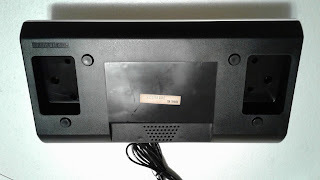 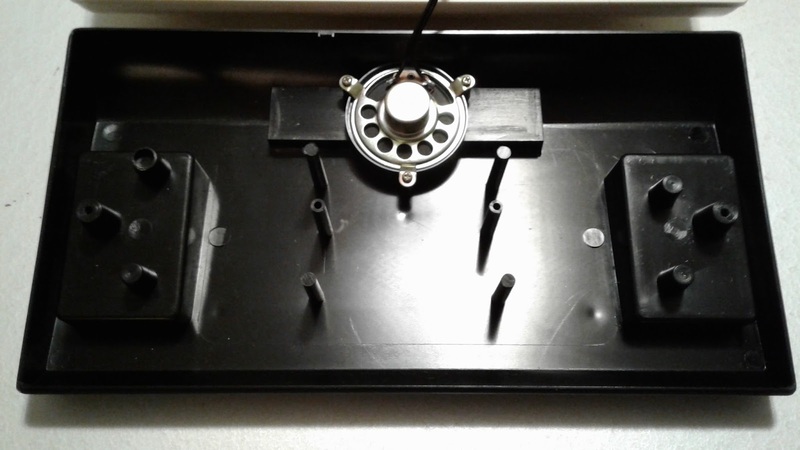 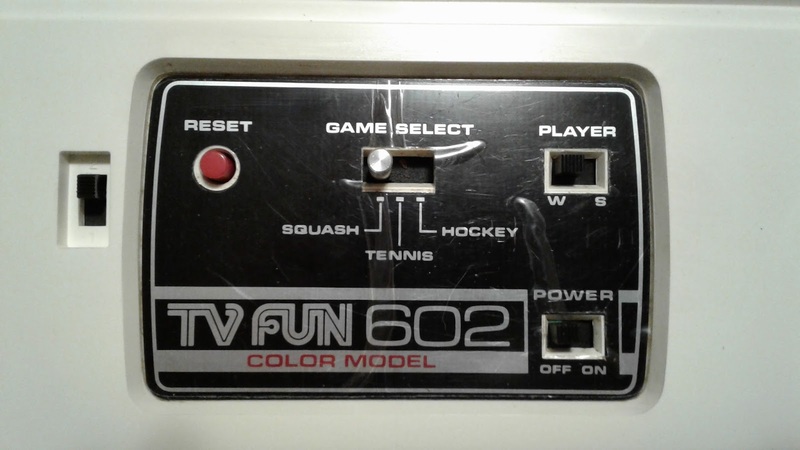 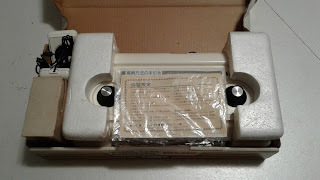 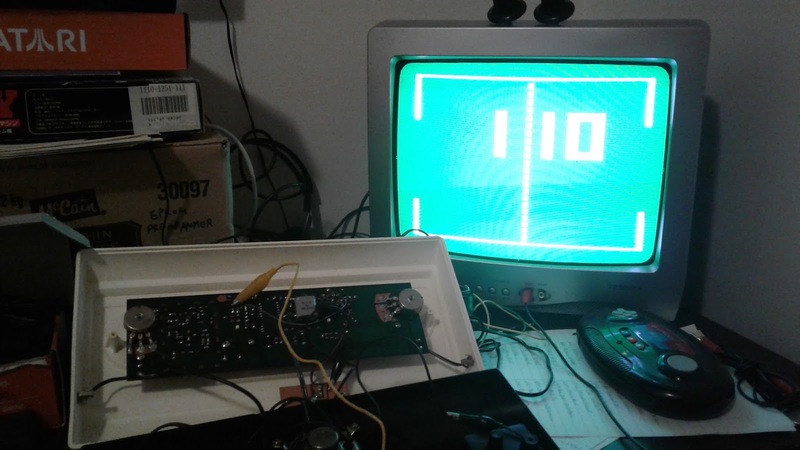 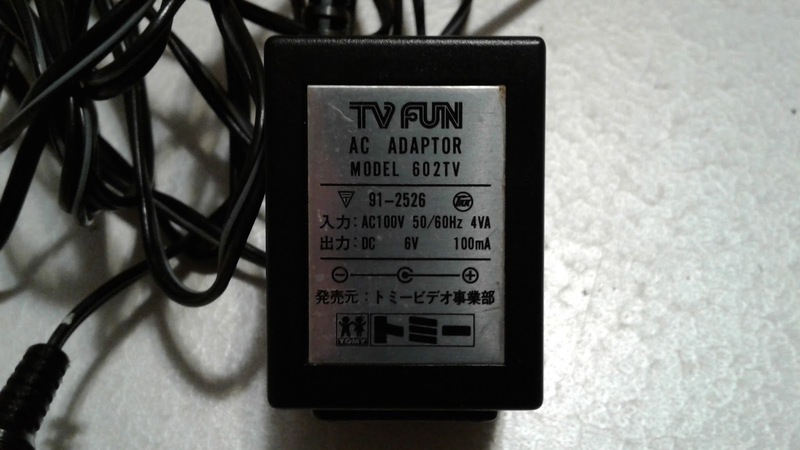 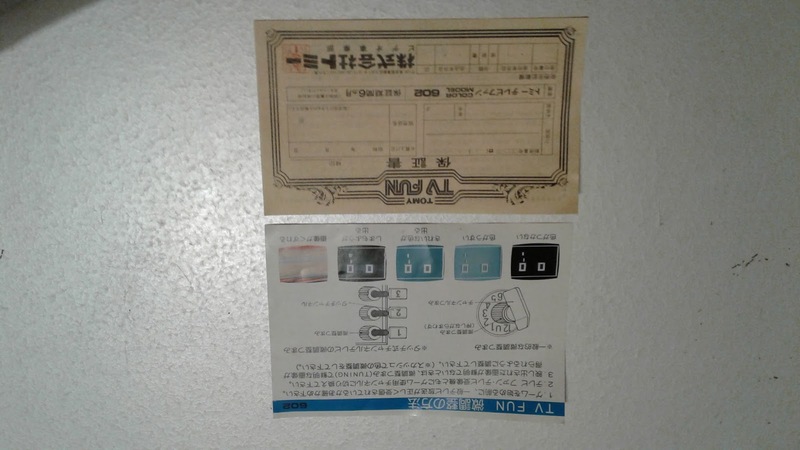 After about 15 years...i finally got one of the most unknown Japanese Pong console ever: the Tomy TV-Fun model 602! 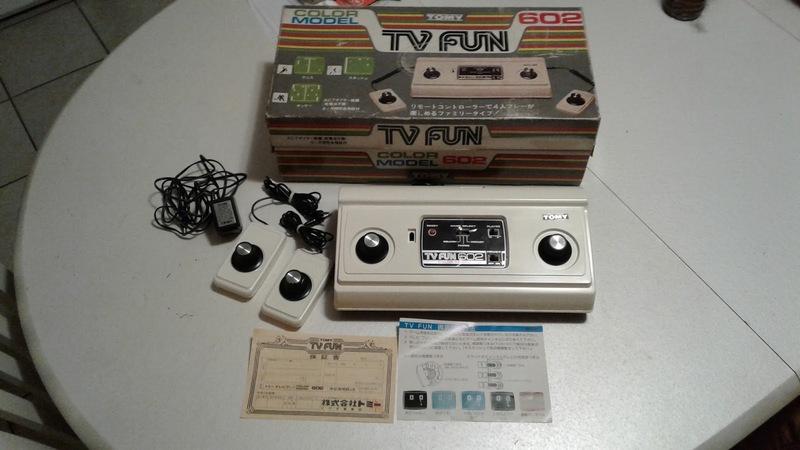 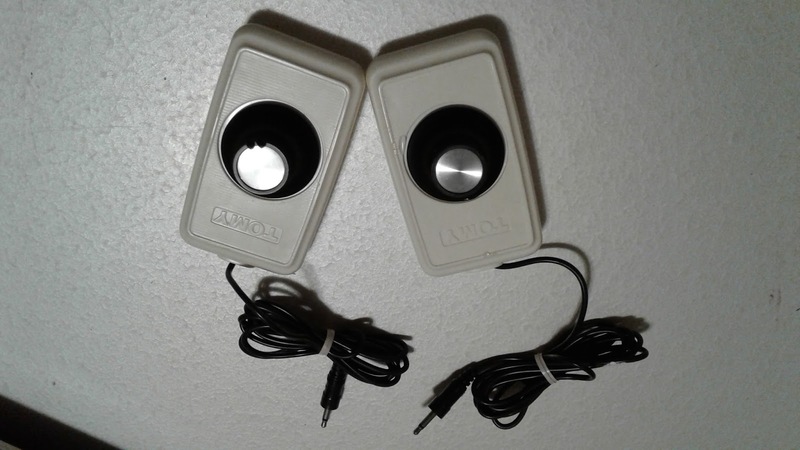 And as Fall starts today, i have received this rare game console as it was the last game console/system i was truly looking for, but sadly, i am not enjoying it as i should be as my father passed away 4 days ago so sorry if i'm not jumping and screaming like a little kid who received the best toy. 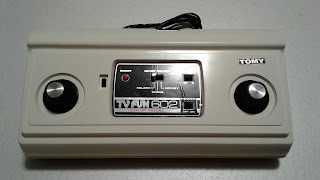 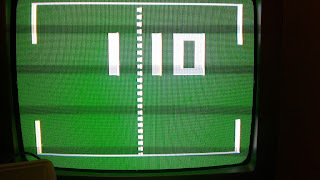 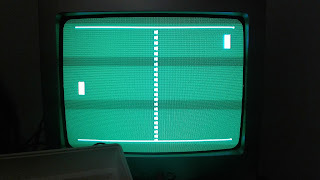 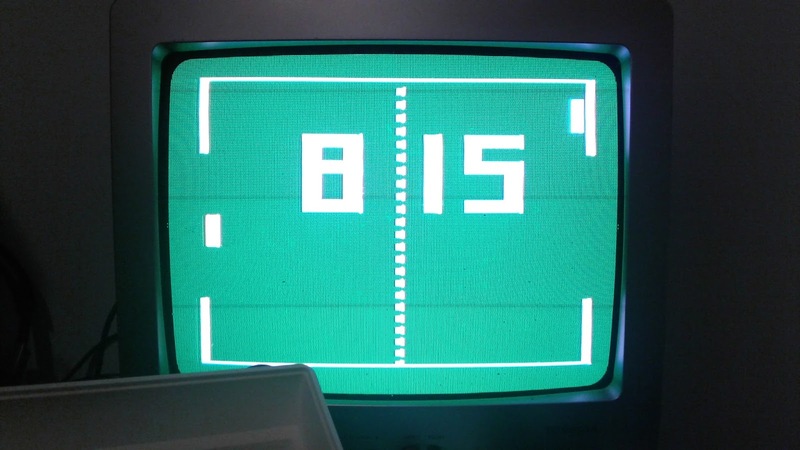 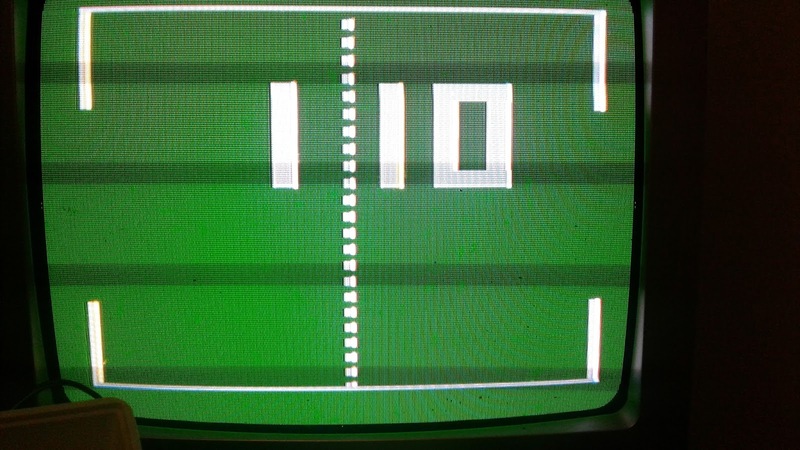 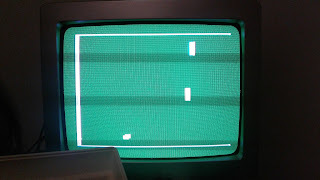 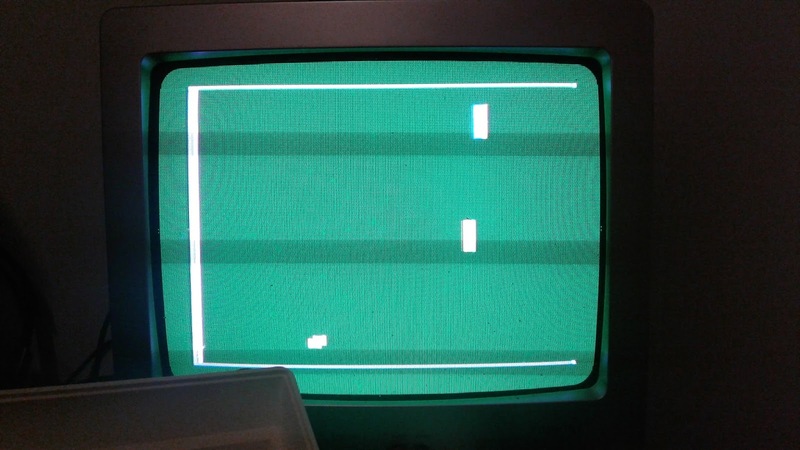 But this TV Game will be forever in my mind (last console / father passed away). And here's the infamous game chip, photographed for the first time! 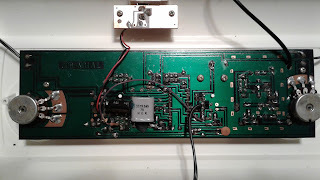 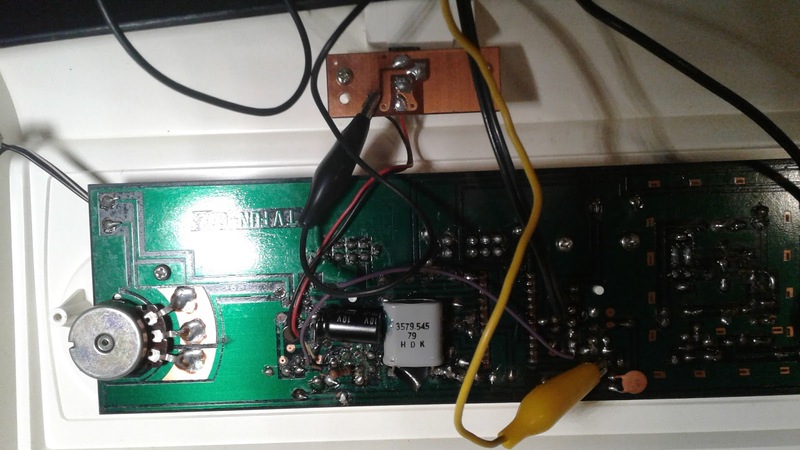 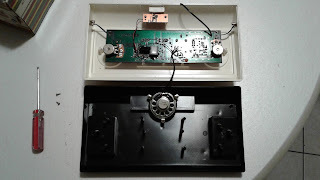 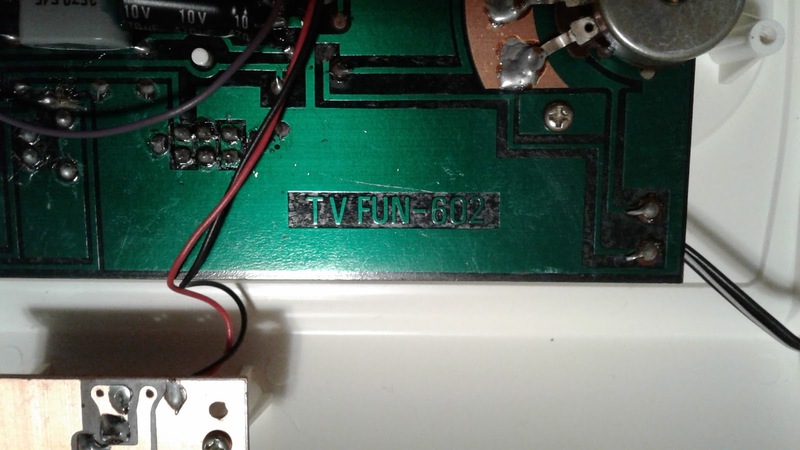 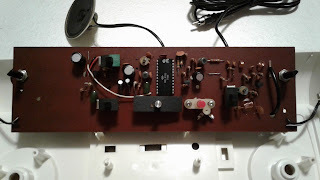 RF connected..ARGH! 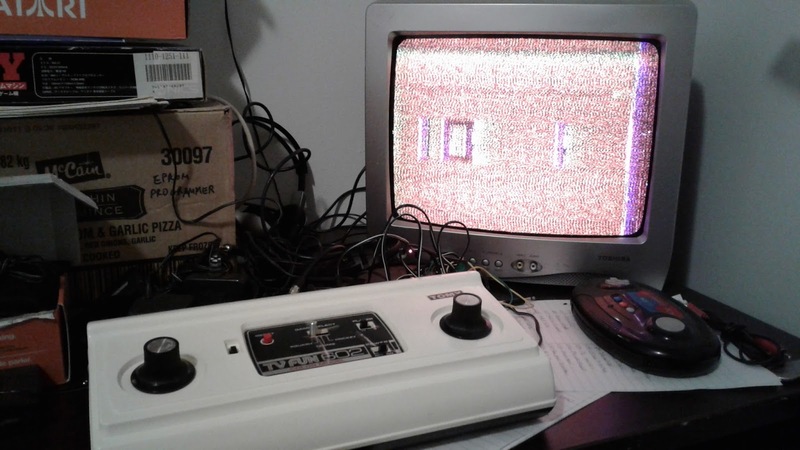 But at least i know it works. 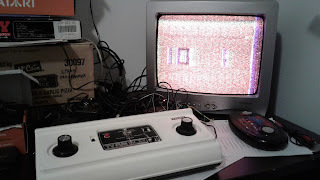 5 minutes later, 1st attempt to plug by video input...Booya! 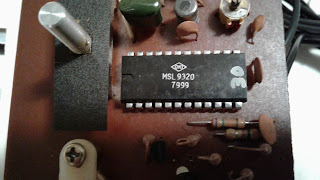 Composite Video output on the MSL9320). 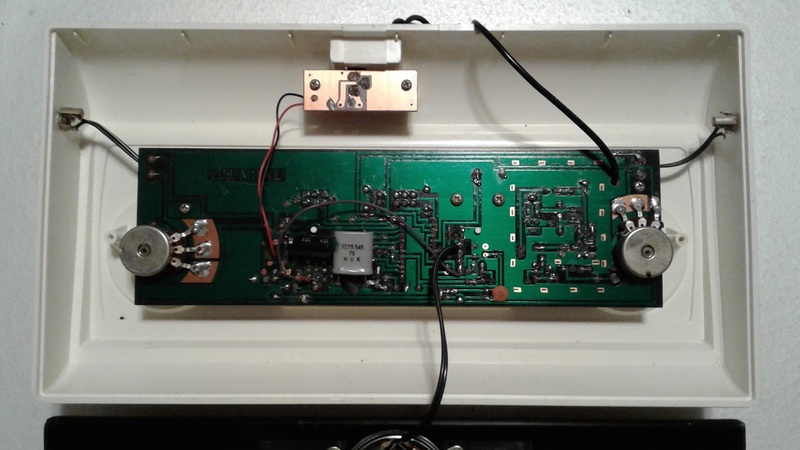 Clear image, way better than RF! 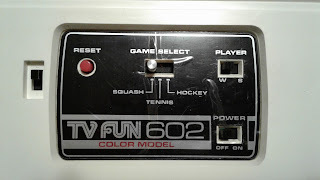 And the final one, the "Hockey" game. So that's it for now folks. The next post will be videos of this rare gem! Until next!